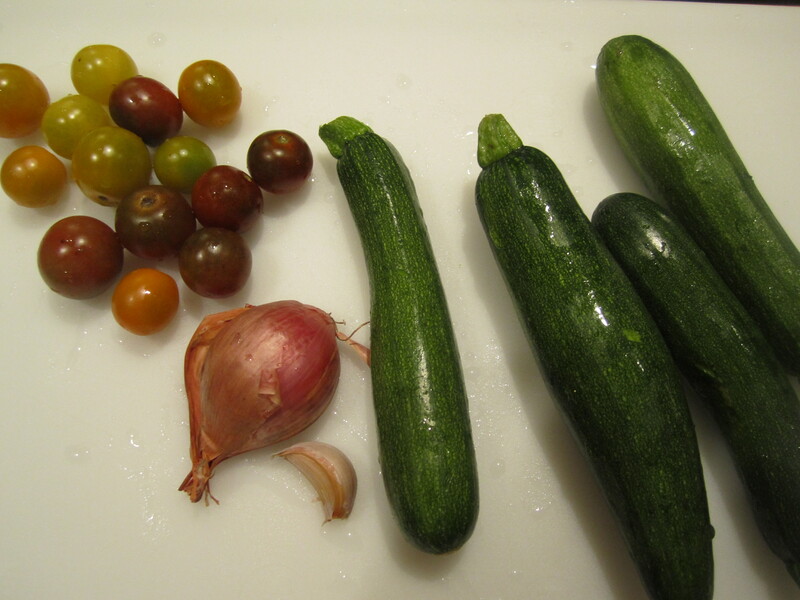 To me, zucchini and tomatoes are the essence of summer. Therefore, what a treat to be eating them locally grown in January! I couldn’t resist posting these dishes, even though they may be similar to other dishes I’ve posted (during the summer). Saturday is always the best day for me to cook, since our local farmers’ market is in the morning, with supplies of vegetables dwindling by about 11 am. Each week, I’m excited all over again about the kale, dandelion, spinach, swiss chard, not to mention zucchini and tomatoes. 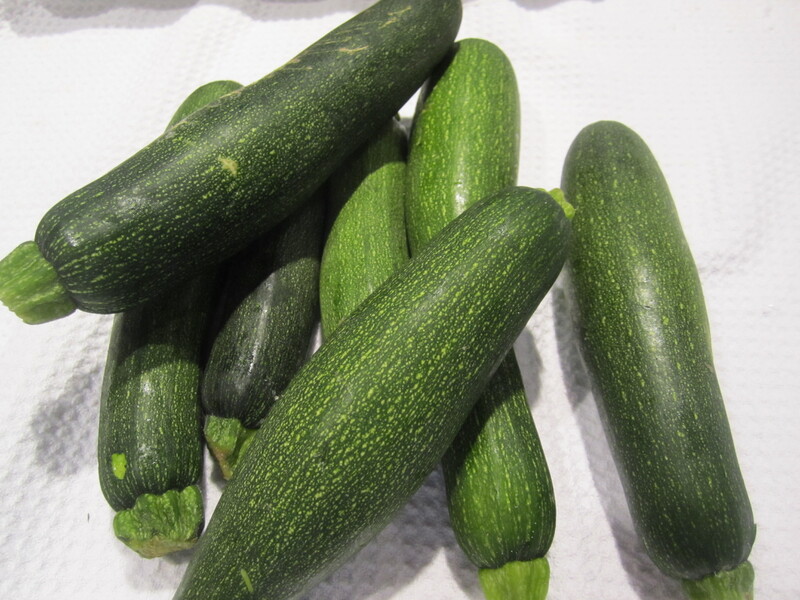 As I’ve said before, I like to buy zucchini that are small to medium sized (about 7″ to 8″ long). These are the best-tasting with the best texture and no seeds. Although zucchini don’t have a lot of intrinsic flavor, if eaten too large, they can be bitter. The baby varieties which became popular in the 1980s on large empty white plates, don’t interest me much, either. 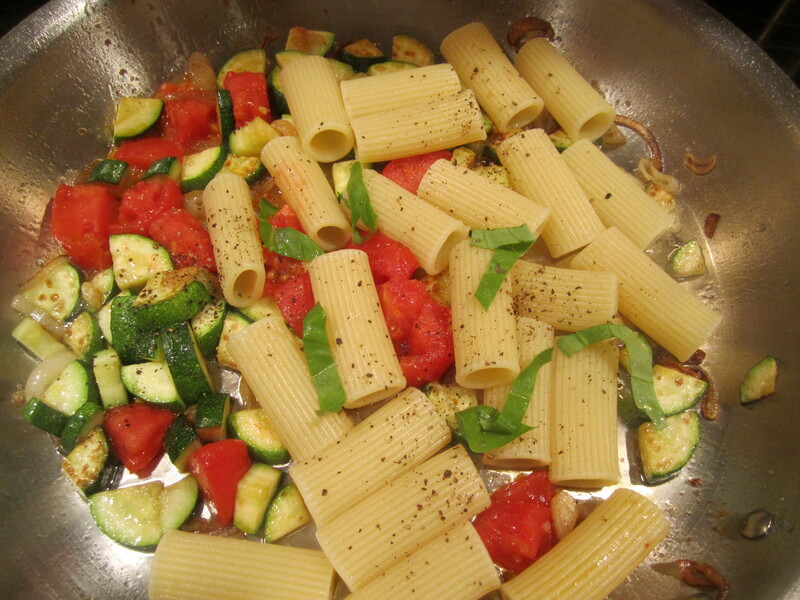 This week, there were so many zucchini of the perfect size, I decided to buy a bunch of them and use them for a couple of dishes–both pastas, of course. 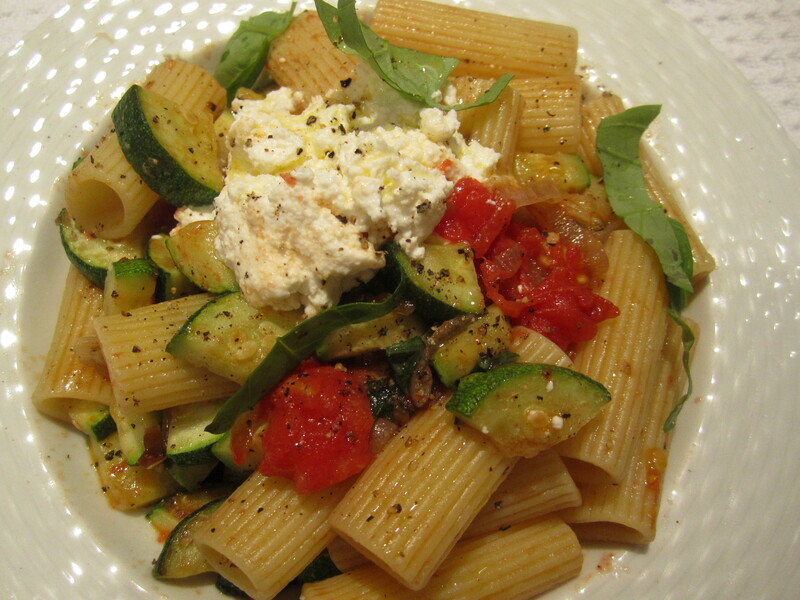 The first dish is great for vegetarians (although not vegans), topped with a dollop of fresh ricotta. 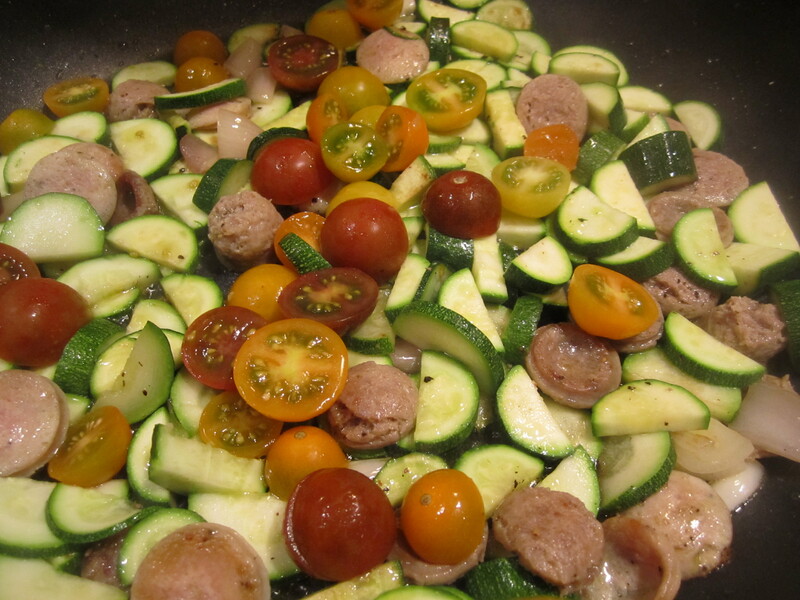 The second dish made use of some leftover cooked sausage I had in the freezer–zucchini with sausage and cherry tomatoes–hearty but summery. While pasta cooks, in a large skillet, combine shallots and oil and place over medium heat. 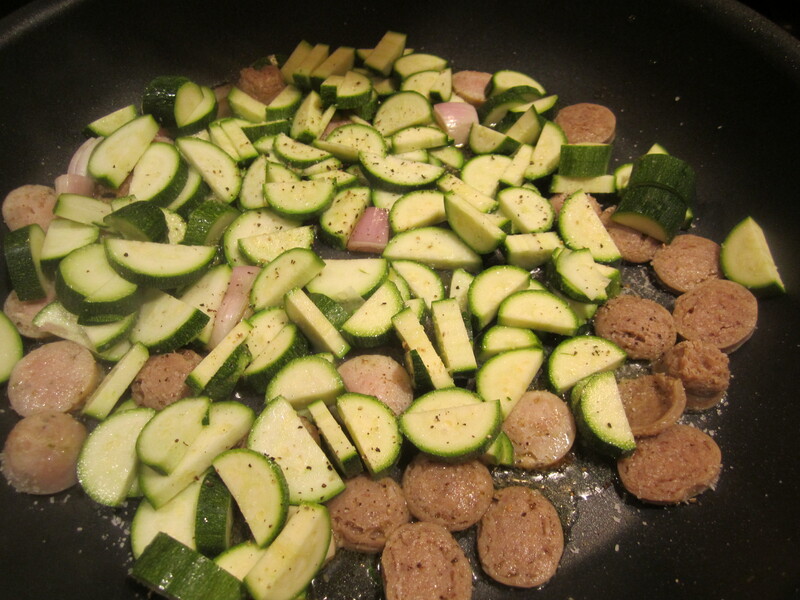 Cook for about a minute, then add zucchini. Turn heat to high and saute for about 10 minutes, tossing and stirring often. Taste and add salt and pepper. Add tomatoes and reduce heat to medium. Continue cooking until pasta is ready. 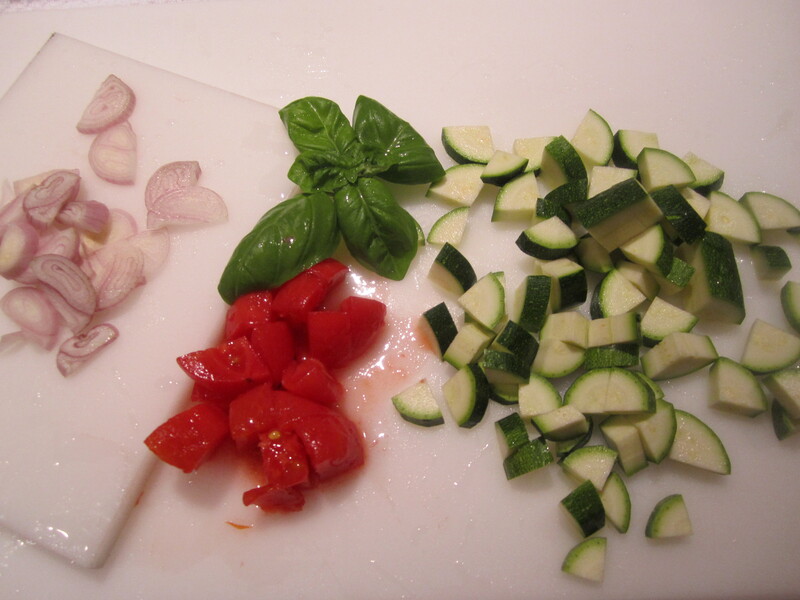 Add pasta to skillet with vegetables, along with a half-cup of pasta cooking liquid. Saute for about a minute. Top with ricotta and shredded basil. Drizzle with additional extra-virgin olive oil. 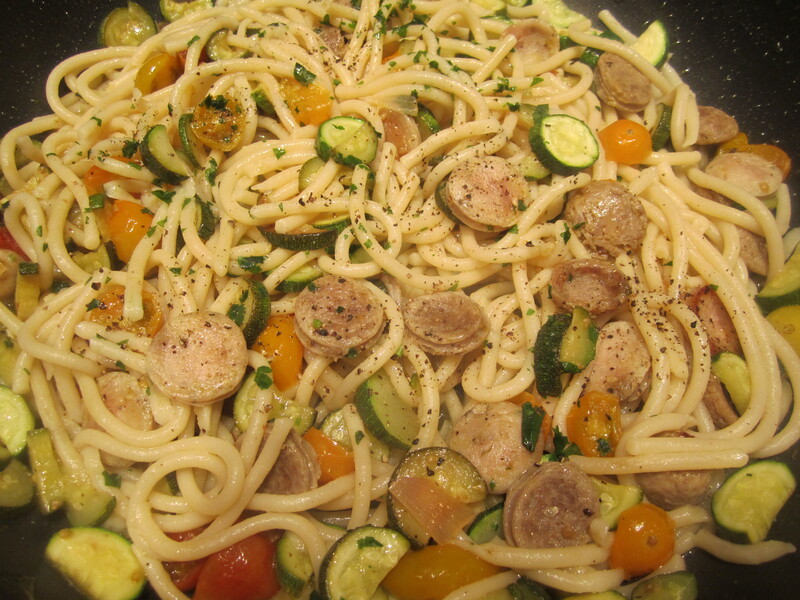 While pasta is cooking, in a broad skillet, place sausage, shallots and garlic. 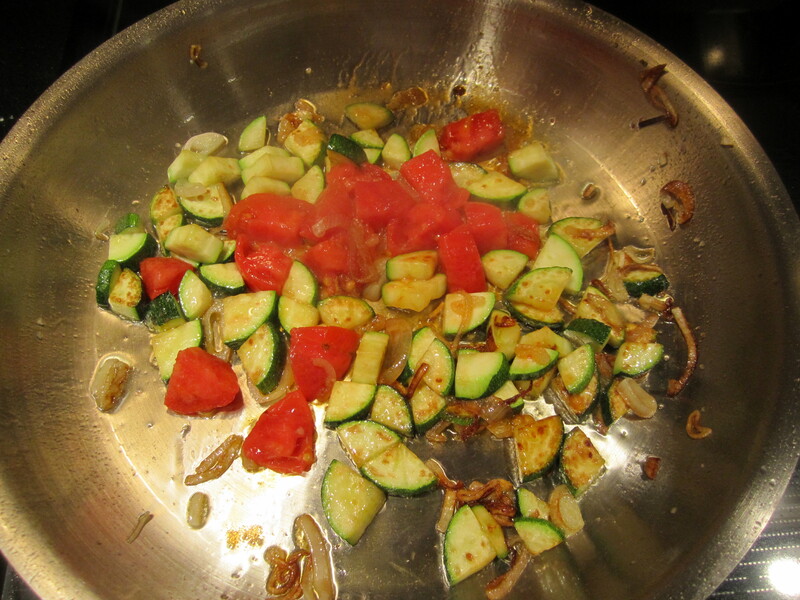 Saute on medium heat for about 3 minutes, then add zucchini and continue sauteing on high heat for about 5 minutes. 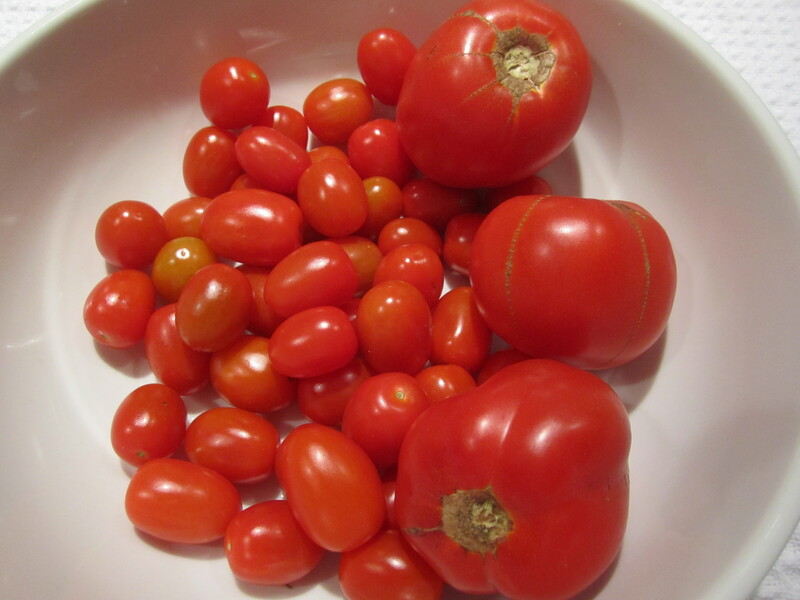 Add tomatoes, then taste and add salt and pepper. When pasta is cooked, add to skillet, along with a half-cup of pasta cooking liquid. Toss and stir to combine for a minute. 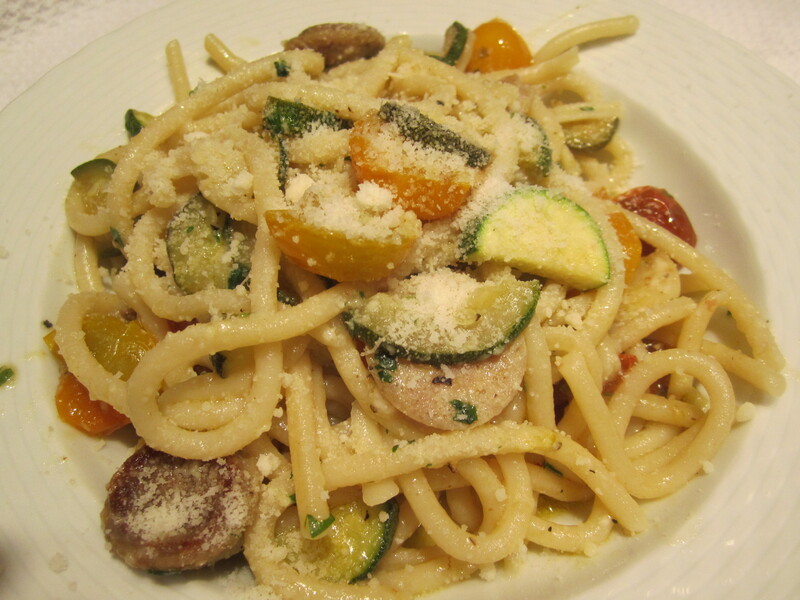 Top with black pepper, drizzle with olive oil and sprinkle with basil, parsley and plenty of grated pecorino.